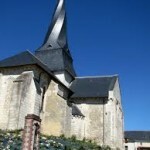 Once you’ve chosen your accommodation at Le Chant, you may want to visit some of the oddities we’ve found in the area! 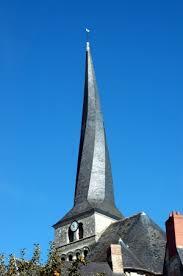 Ok, so many people know about the twisted spire of Chesterfield, in the UK. 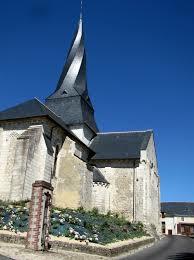 Here in the area around us known as the Baugeoise, there are quite a few ‘clocher tors’, or ‘twisted spires’. Were they built like that by design, or by deformities of the wood, as at Chesterfield? Surely, it’s a huge coincidence that there appears to be such a concentration of them in this area? One belief is that the spires twisted to follow underground waterways. Another is that they are like the windmills prevalent in this area in bygone times, and that they ‘face the wind’. Sailors believed them to be the work of inexperienced shipwights. Whatever the reasons behind them, the spires are impressive. Check them out at Mouliherne, Fougeré, Fontaine Guérin, Vieil Baugé, Chemiré sur Sarthe, Distré and Pontigné. This region of ours is littered with the remains of hundreds (if not thousands) of years of industry. The soft chalk-like limestone known as tuffeau has been quarried in the area to provide not just the stone to build homes in the region, but has also been exported around the world to build cathedrals, churches and other buildings of note. The Loire Valley formed the floor of a vast sea 90 million years ago. 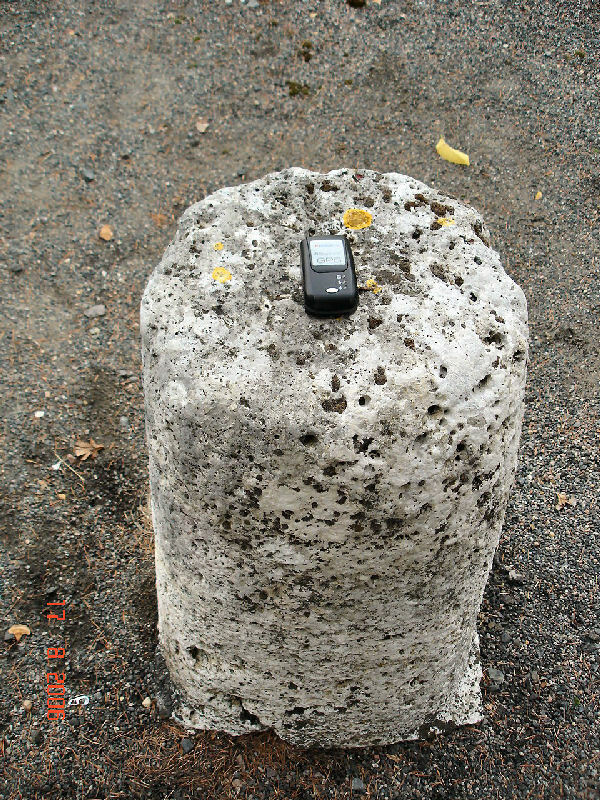 Over the millennia, sediment from the sea floor, comprising fossilized living organisms and sand particles, became compressed to form what is now known as Tuffeau stone. Once the mining of the stone had peaked in the 15thC, there remained vast underground caves, and people moved in! Because of the constant year-round temperature inside the caves, they made attractive and practical dwellings. Along the banks of the Loire between Saumur & Montsoreau, you’ll see many superb examples of a style of architecture quite unique. As time went by and needs changed, the dwellings became enlarged and used for storage of wine (again because of the constant temperature), or for the cultivation of mushrooms. The Saumur area of the Loire Valley is the premier producer of mushrooms, which are exported globally. To find out more about fouée, how it’s cooked, and what it looks like. To marvel at the troglodyte houses, carved from the cliffs, and dug from the ground, take a stroll around any of the villages of Turquant, Parnay, Montsoreau or Souzay and you’ll be amazed at the variations of styles of troglodyte dwellings. Some are simple, being workers’ homes, while others may have a façade of a tower, or turrets and are very grand indeed. Not too far from us here at Le Chant d’Oiseau is the one of the commune’s oldest residents. 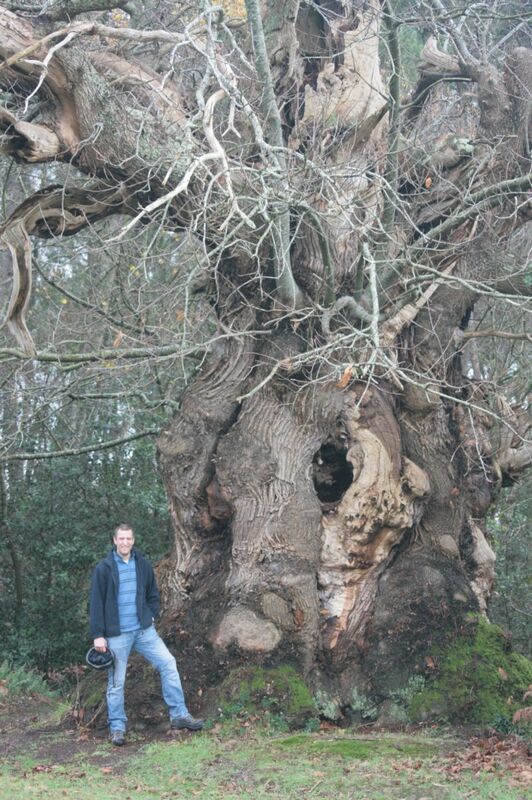 It’s a chestnut tree and lives on, shedding its fruit each year still. 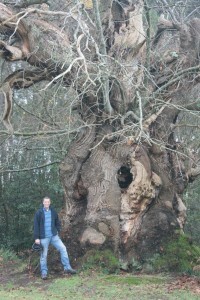 Over 17metres in circumference, this old man remains one of the oldest living trees in France today. The shame is that it was almost lost in a pretty dense wood until not too long ago. The land where he stands changed owners, and the new owners decided to clear some woodland to create fields for horses. Imagine their surprise when they came upon this gargantuan? We won’t tell you where it is right now, but we will let you have directions when you visit! Not too far from Saumur, towards Montsoreau at a village called Parnay, is the French equivalent of the Greenwich Meridian. Seriously! 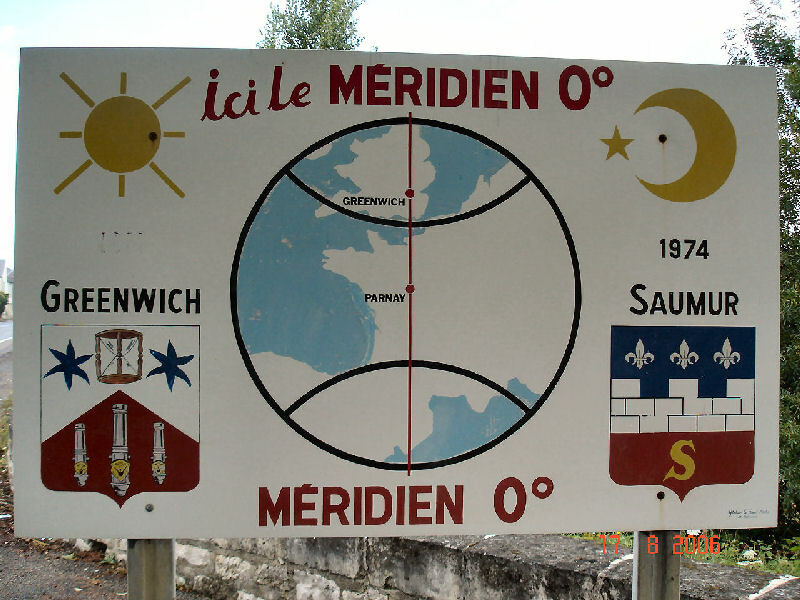 This point of the compass is at exactly 0 degrees – take your GPS to see for youself! This is the point where east meets west, and as oddities go, this is a good one! 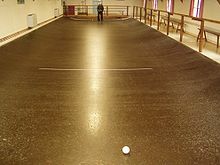 Boules de Fort is a game not dissimilar to carpet bowls, and crown green bowling in the UK, except that the playing area is usually a slightly convex, conctrete surface, finished to a very heavy shine. The bowls, or ‘boules’ are shaped in a similar way with a ‘bias’ on one side. The boule has a side where the wood is ‘tightened’ the most, and is therefore the heaviest, just as in crown green bowling in the UK.The game originated in the Maine et Loire department, with the earliest reference to it being in 1660. There are 50,000 players in 392 sociétés, of which 315 are in the department of the Maine et Loire. Most communes have a specially built hall where the game is played. It is highly competitive, but fun and family-friendly too. Many communes are quite happy for visitors to come along and watch a game, often being invited to ‘have a go’. 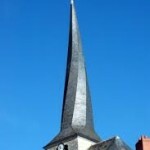 Less than 50 of these unique structures remain in France. Their purpose? To guide weary travellers along the right road, or to offer solace and comfort in the dark. We have a Lanterne des Morts nearby in Mouliherne. Ours though, has been rebuilt and placed over a 12th century ‘ossuary’. An ossuary is a final resting place for the bones of the long-dead. For the more macabre minded among you, it’s possible to view these bones via. 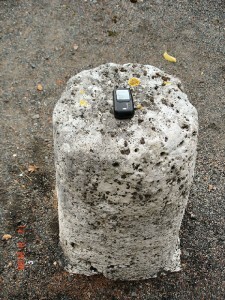 a small hole in the base of the lanterne. Take a torch! Stu & Syb Bradley. 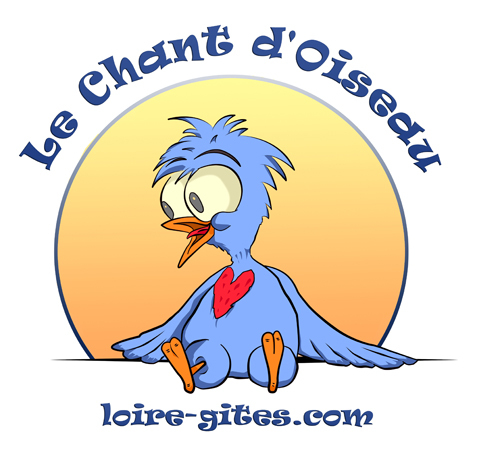 Le Chant d’Oiseau.